Beginning his junior career with the Tri-City Americans in the Western Hockey League in 2002, Price was drafted fifth overall by the Montreal Canadiens in the 2005 NHL Entry Draft following his second season with the Tri-City Americans. Following a further two seasons with the Americans, where he won both the Del Wilson Trophy as the top goaltender in the Western Hockey League (WHL) and CHL Goaltender of the Year in his final season of major junior in 2007. Joining the Canadiens' farm team, the Hamilton Bulldogs of the American Hockey League (AHL) just as the Calder Cup playoffs begun, Price led the Bulldogs to the Calder Cup championship, winning the Jack A. Butterfield Trophy as the tournament MVP. Price made the Canadiens roster for the 2007–08 season as the backup goaltender before ultimately becoming the starting goaltender later that season. In 2015, he was the winner of the Ted Lindsay, Jennings, Vezina and Hart trophies, becoming the first goaltender in NHL history to win all four individual awards in the same season. Internationally, Price has represented Canada at various tournaments at junior levels, winning silver medals at the World U-17 Hockey Challenge in 2004 and the IIHF World U18 Championship in 2005. He won a gold medal at the 2007 World Junior Ice Hockey Championships in Sweden. In 2014, Price was named to the Canadian Olympic Hockey Team and won a gold medal at the Winter Olympics in Sochi. Price's play also earned him the tournament's top goaltending award, from the International Ice Hockey Federation (IIHF) directorate. In 2016 Price went undefeated to win his first World Cup of Hockey championship. Carey Price was born in Vancouver to Lynda and Jerry Price. His mother is the former chief of the Ulkatcho First Nation. His father was also a goaltender; he was drafted by the Philadelphia Flyers in the eighth round, 126th overall, in the 1978 NHL Amateur Draft. Although Jerry never played in the NHL, he did play four seasons of professional hockey in various leagues and was for a time the goaltending coach of the Tri-City Americans. Price has a sister, Kayla, and his second cousin is fellow ice hockey player Shane Doan. When Price was three, his family moved to the remote town of Anahim Lake in northern British Columbia where he was raised. He was taught to play goaltender by his father on a frozen creek during the winter months and played organized hockey in Williams Lake over five hours and 320 kilometres (200 mi) away by car on Highway 20. Having to make the ten-hour round trip three days a week, Carey's father bought a plane to fly him to practice and games. Growing up, Price's favourite NHL team was the Edmonton Oilers and he idolized Marty Turco and Patrick Roy. Price made his first appearance in the Western Hockey League (WHL) in a single game for the Tri-City Americans during the 2002–03 season. He then made the Tri-City roster the next season, appearing in 28 games as the backup for Colorado Avalanche prospect Tyler Weiman, posting a 2.38 Goals against average (GAA) and .915 save percentage. The next season, Price took over as the primary starter of the team and established himself as a top goaltender, playing in a league-high 63 games with a 2.34 GAA and .920 save percentage and eight shutouts, both in the league top ten. Ranking as the best North American goaltender by NHL Central Scouting, Price was drafted fifth overall by the Montreal Canadiens, a move considered surprising by many who thought Price would not be drafted until the middle of the first round. During the 2005–06 season, Price's play in Tri-City suffered considerably and he ended the season with a 2.87 GAA and a .906 save percentage while starting 55 games. Price rebounded the next season with a very strong 2006–07 season, posting an excellent 2.45 GAA and .917 save percentage while winning both the Del Wilson Trophy as the top WHL goaltender and the CHL Goaltender of the Year award. Despite this, the Americans were eliminated in 6 games during the 2007 playoffs. Following Tri-City's early playoff exit, later that spring, Price joined the Montreal Canadiens farm team, the Hamilton Bulldogs, just before the start of the 2007 Calder Cup playoffs. In two regular season appearances with the Bulldogs, Price allowed only three goals and won one game. Price led the Bulldogs on a remarkable run that spring, defeating the Hershey Bears four games to one in the finals as the team won their first Calder Cup. Price became only the third teenage goaltender to win the Jack A. Butterfield Trophy as AHL playoff MVP, posting a 2.06 GAA and .936 save percentage. Price made his highly anticipated Canadiens debut on October 10, 2007, against the Pittsburgh Penguins and recorded 26 saves in a 3–2 win. After the first month of the season, he was awarded the Canadiens' Molson Cup for October, given to the player with the most first-star selections. Although reassigned to the Hamilton Bulldogs midway through the season in January, he was called back up shortly over a month later. With the trading of starting goaltender Cristobal Huet to the Washington Capitals before the trading deadline, Price assumed the starting role for the Canadiens. He was subsequently named the NHL Rookie of the Month for March and the NHL First Star of the Week (ending April 6, 2008) as the Canadiens finished first overall in the Eastern Conference and earned their first division title since 1991–92. Price completed the regular season leading all rookie goaltenders in wins (24), save percentage (.920) and shutouts (3). He was named to the NHL All-Rookie Team in recognition for his accomplishments in his first year in the NHL. Price warming up prior to a game in the 2008–09 season. Entering the playoffs against the Boston Bruins, Price recorded a 1–0 win on April 15, 2008, becoming the first Canadiens rookie to post a playoff shutout since Patrick Roy in 1986. He would go on to record another shutout in game seven to eliminate Boston. Montreal lost in the second round to the Philadelphia Flyers with Price losing 3 of the last 4 games. After a strong start to the 2008–09 season, in which he earned a second Molson Cup in November, Price injured his ankle on December 30, 2008. Forced out of action for nearly a month, during which he was voted in as a starting goalie for the 2009 NHL All-Star Game in Montreal (along with teammates Alexei Kovalev, Andrei Markov and Mike Komisarek) he made his return to action on January 20, 2009, after backup Jaroslav Halák was pulled in a 4–2 loss to the Atlanta Thrashers. Going into the 2009 playoffs as the eighth and final seed, the Canadiens played the Boston Bruins in the opening round for the second consecutive season. They were swept in four games, with the Bruins scoring at least four times in each game. In the final game at the Bell Centre in Montreal, Price surrendered four goals in two periods. After stopping a weak dump-in, the crowd cheered sarcastically and Price responded by putting his arms up in the air, similar to Patrick Roy's gesture on December 2, 1995, in a game after which Roy requested a trade from the Canadiens. Price struggled throughout the 2009–10 season, winning only 13 games and losing the starting job to Halak as the Canadiens entered the playoffs as the eighth and final seed. Although the Canadiens made a surprise run to the Eastern Conference final, upsetting both the Washington Capitals and Pittsburgh Penguins along the way, Price appeared in only four games, losing one and getting no decision in each of the others, only coming off the bench when the game was out of hand. The highlight of the season for Price was stopping 37 of 38 shots in a 5–1 win over the Boston Bruins in the Canadiens 100 year anniversary game on December 4, 2009, and the low point was surrendering four goals in his only start of the playoffs. In the summer of 2010, both Price and Halák became restricted free agents and a goaltending debate emerged in Montreal over who would remain with the team – the playoff hero Halák or the younger Price. After weeks of media speculation, the Canadiens chose Price, trading Halák to the St. Louis Blues and re-signing Price to a two-year, $5.5 million contract to return to his role as starting goaltender. Price talks to backup Alex Auld in Pittsburgh, March 2011. The 2010–11 pre-season was a tough start for Price. During the 2010–11 regular season, however, Price played in 72 games recording new career highs including 38 wins, eight shutouts a 2.35 GAA and a .923 save percentage, and was selected to play in the 2011 NHL All-Star Game. This play from Price allowed the Canadiens to enter the 2011 Stanley Cup playoffs. This strong play continued for Price in the playoffs posting a .935 save percentage. It was not enough, however, to lead the Canadiens to victory, as they ultimately fell in seven games in the first round to the Boston Bruins. On October 26, 2011, Price earned his 100th win in his NHL career in his 214th game. A few months later, he participated to his third All-Star Game. The 2011–12 season, however, did not go well for the Canadiens, and they missed the playoffs for the first time since the 2006–07 season. Price missed the last 4 games of the season due to a concussion. On July 2, 2012, Price re-signed with the Canadiens on a six-year contract worth US$39 million. During the lock-out shortened 2012–13 season, Price started the year very well, winning 18 of his first 28 starts as the Canadiens, in stark contrast to the previous season, were one of the best teams in the Eastern Conference, going 29–14–5, good enough for second in the conference. Price's play, however, dropped off in the final weeks of the season, going 2–6 and allowing 27 goals. Nonetheless, the Canadiens went into the playoffs against the seventh seeded Ottawa Senators. In Game 4, with the score tied 2–2 as the third period came to an end, Price suffered a groin injury and did not return for the overtime period and was replaced by Peter Budaj; the Senators would go on to score and win the game. Price's injury sidelined him for the rest of the series and the Canadiens were eliminated in five games. Price ended the playoffs with a sub-par 3.26 GAA and an .894 save percentage. Price during a practice with the Canadiens during the 2012–13 season. The 2013–14 season saw Price return to form, recording 34 wins to go along with a career best 2.32 GAA and .927 save percentage, leading the Canadiens to their second 100-point season since 2007–08 season. The Canadiens entered the 2014 Stanley Cup playoffs as the fourth seed in the Eastern Conference against the Tampa Bay Lightning, whom they swept in four games, marking Price's first playoff series win since his rookie year. The Montreal Canadiens then faced the President's Trophy-winning Boston Bruins in the second round for the fourth time of Price's NHL career. In contrast to the previous two postseason meetings, the Canadiens upset the Bruins, ousting them in seven games. Following a 4–2 defeat in Game 5 at TD Garden, Price shut out the Bruins in Game 6 by a score of 4–0 before stopping 29 shots in a 3–1 victory in Game 7 to eliminate Boston and advance to the Conference Finals. His and the Canadiens run, however, ended against the New York Rangers. In Game 1 at the Bell Centre, with the Rangers up 2–0 near the end of the second period, Rangers forward Chris Kreider crashed into Price. He would stay in net for the remainder of the period, allowing two more goals before the intermission. Price was then replaced by backup Peter Budaj in the third period as the Rangers scored three more goals to hammer the Canadiens 7–2 in Game 1. Price was soon ruled out for the rest of the series with an unspecified lower-body injury, as the Canadiens fell in six games to the Rangers, the second year in-a-row Price had a premature ending to his playoffs due to injury. Price in net during the 2014–15 season. Price would follow up 2014–15 with the best season of his career, as he would finish the season as the leader of the three leading categories for goaltenders: GAA (1.96), save percentage (.933), and wins (44), all career highs as he would help the Canadiens win the Atlantic Division. That season he would go on to win the Hart Memorial Trophy as the league's most valuable player, the Vezina Trophy as best goaltender, the Ted Lindsay Award as most valuable player as voted by the NHLPA, and the William M. Jennings Trophy for fewest goals allowed (in a tie with Corey Crawford of the Chicago Blackhawks with 189 goals allowed). He became only the second player in franchise history to win 4 awards in one season. Early in the 2015–16 season, Price suffered a knee injury. At the time of injury, he was expected to return after six weeks. However, on April 6, 2016, the Canadiens announced that Price would not return for the 2015–16 season. The extent of Price's injury was revealed to be a medial collateral ligament injury (MCL sprain). At the beginning of the 2016–17 season, Price became the first NHL goalie to win his first 10 games of the season. On July 2, 2017, it was announced that Price signed an eight-year contract extension with an annual cap hit of US$10.5 million totalling to US$84 million for the entire contract. His new contract will run through the 2025–26 season. This will make Price the highest paid goaltender in the 2018–2019 NHL season, surpassing goaltender Henrik Lundqvist. After a dismal month at the start of the 2017–18 NHL season Price was out for the count with a minor lower body injury, leaving goalies Al Montoya and Charlie Lindgren to take his place. On February 22, 2018, Price was rule out indefinitely after sustaining a concussion in a game against the Philadelphia Flyers. On March 19, 2018, Price returned from his concussion and dressed for the first time in 13 games for a game against the Florida Panthers. Despite his injuries, Price made in his 557th career NHL start for the Canadiens on April 3, 2018, surpassing the previous franchise record holder Jacques Plante. On October 27, 2018, after a 3–0 win over the Boston Bruins, Price surpassed Patrick Roy for second place in Montreal Canadiens franchise career wins with his 290th career victory. Price was named to the 2019 National Hockey League All-Star Game, his sixth All-Star nomination, but he chose to defer due to a lower-body injury. Price made his international debut for Canada at the 2005 IIHF World U18 Championships in the Czech Republic. He appeared in four games, earning a silver medal as Team Canada was defeated by the United States 5–1 in the gold medal game. Two years later, in his final year of major junior, Price was named to Team Canada for the 2007 World Junior Championships in Sweden. He led Team Canada to a third consecutive gold medal and was named Tournament MVP and Top Goaltender after going 6–0 with two shutouts, a 1.14 GAA and .961 save percentage. He was also named to the Tournament All-Star Team along with teammates Jonathan Toews and Kris Letang. He led the 2005 IIHF world U18 Championships in save percentage and wins. Price sold his U18 Championship helmet for charity. On January 7, 2014, Price was named to the 2014 Canadian Olympic Hockey Team along with goaltenders Mike Smith of the Phoenix Coyotes and Roberto Luongo of the Florida Panthers. Price, along with close friend and teammate P. K. Subban, became the first Montreal Canadiens players to be selected for Team Canada since Mark Recchi in the 1998 Nagano Olympics. 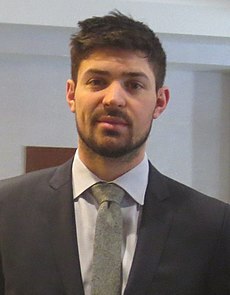 Soon after arriving in Sochi, it was announced that Price would start in Canada's first game of the tournament against Norway. Price had a strong debut, stopping 18 of 19 shots against Norway in a 3–1 Canadian win. Price's strong play continued, allowing only a single goal in a 2–1 victory against Finland in the round-robin tournament. In Canada's quarter-final game, Price backstopped Canada over Latvia 2–1. On February 21, 2014, Price played a pivotal role in a 1–0 victory against Team USA in the semifinals. Price stopped all 31 shots and shutout Team USA, powering Team Canada into the gold medal game against Sweden. In his second consecutive shutout of the Olympics, Price made 24 saves in a 3–0 victory and won his first gold medal as an Olympian. Price ended the tournament undefeated in five games with a 0.59 GAA and .971 save percentage, and was named the tournament's best goaltender by the International Ice Hockey Federation (IIHF). Price holds off a shoot out attempt against Jeff Skinner of the Carolina Hurricanes. Like most modern goaltenders, Price plays the style of goaltending known as "butterfly style" popularized by Glenn Hall, dropping to his knees and pointing his skates outwards with his pads covering the bottom width of the net. Price is known for his excellent reflexes which are considered to be some of his best attributes as a goaltender. He can read the play very well and has very good reaction time. He is noted for his calm demeanor on the ice that allows him to remain focused and rarely appears rattled or upset in the net. Price is considered by the Canadiens' management and coaches to be one of the leaders of the team and is present during meetings with the team's captain and alternate captains. In 2015, Price teamed up with CCM to donate $10,000 worth of equipment to a minor hockey league in Williams Lake, B.C. Additionally, Price funds a breakfast program at his old school in Anahim Lake, B.C. Price met his wife, Angela (nee. Webber), while playing with the Tri-City Americans. In an interview, Angela said that the couple were set up on a blind date by her friend, who was dating Carey's roommate at the time. They reside in Kelowna, British Columbia, during the off-season. They were married August 24, 2013, in Benton City, Washington, near Angela's hometown of Kennewick. The next day, Price flew to Calgary for Hockey Canada's Olympic orientation camp for the 2014 Winter Olympics. On October 21, 2015, Angela Price confirmed on her blog that they were expecting their first child due the following spring. In 2016, Angela gave birth to the couple's first daughter. In December 2018, Angela gave birth to their second daughter. Price, who is of Ulkatcho First Nation descent through his mother, was named as an honorary co-chair at the 2010 National Aboriginal Hockey Championships that were held in Ottawa, Ontario, in May 2010. Price is of the Nuxalk and Southern Carrier Aboriginal heritage. Price is very proud to be of the descent from the line of chiefs and leaders including his mother, Lynda. Price is also very active in teaching younger athletes valuable lessons regarding hockey. Price mentors fellow William Lakes goalie, Cody Call. Call states that Carey has been a great influence in his young hockey career. Bolded numbers indicate league leader. ^ a b c "Big Game Hunter: Carey Price has his sights set. First gold. Then the Cup". Sportsnet.ca. Archived from the original on March 31, 2014. Retrieved March 28, 2014. ^ Traikos, Michael (September 8, 2018). "TRAIKOS: Players agree Carey Price still a top goalie despite terrible season". Toronto Sun. Chicago, Illinois, United States. Retrieved January 12, 2019. ^ Kaplan, Emily (January 8, 2019). "Canadiens goalie Carey Price to skip All-Star game". ESPN.com. Retrieved January 12, 2019. ^ Cowan, Stu (September 4, 2018). "Carey Price is only Canadiens player ranked in THN's Top 50". Montreal Gazette. Retrieved January 12, 2019. ^ Nechay, Steven (August 27, 2018). "Carey Price rated top goaltender in NHL 19". NHL.com. Retrieved January 12, 2019. ^ "Price sweeps at NHL Awards". The Canadian Press. June 24, 2015. Archived from the original on June 26, 2015. Retrieved June 25, 2015. ^ a b McElroy, Justin (May 14, 2014). "Anahim Lake holds rally for Carey Price before Game 7 against Boston". Global News. Archived from the original on April 11, 2015. Retrieved April 4, 2015. ^ Gordon, Sean (February 6, 2014). "Roberto Luongo and Carey Price set to duel ahead of Sochi Games". The Globe and Mail. Archived from the original on June 26, 2015. Retrieved April 4, 2015. ^ a b c "Our family is our community". The Vancouver Sun. June 21, 2008. Archived from the original on July 8, 2015. Retrieved April 4, 2015. ^ a b c "PLAYER PROFILE – Carey Price". Hockey Canada. Archived from the original on June 13, 2012. Retrieved March 7, 2010. ^ "Jerry Price hockey statistics & profile". HockeyDB.com. Archived from the original on February 14, 2010. Retrieved January 7, 2010. ^ "Staff Bio – Tri-City Americans". Tri-City Americans. Archived from the original on November 7, 2009. Retrieved March 7, 2010. ^ "That's Hockey: Team Biz Nasty vs. Team Doan". ^ "Canada – 2014 Tournament – Roster – #31 – Carey Price – G". stats.hockeycanada.ca. Archived from the original on March 28, 2014. Retrieved April 3, 2014. ^ "YouTube – Carey Price 2005 NHL Entry Draft". Archived from the original on March 2, 2014. Retrieved January 25, 2014 – via YouTube. ^ "WHL Network". hl.ca. Archived from the original on May 18, 2014. Retrieved January 25, 2014. ^ a b "Habs' Price named Rookie of the Month". The Sports Network. 2008. Archived from the original on 2008-04-11. Retrieved 2008-05-03. ^ "Price named NHL's first star of the week". The Sports Network. 2008. Archived from the original on 2008-04-11. Retrieved 2008-05-03. ^ "Carey Price earns 1st playoff shutout". CBC Sports. April 15, 2008. Archived from the original on December 4, 2008. Retrieved April 17, 2008. ^ a b "Price not right in loss to Devils". Canadian Broadcasting Corporation. January 22, 2009. Archived from the original on January 25, 2009. Retrieved January 22, 2009. ^ "Deconstructing a disappointing season for the Canadiens". TSN. Archived from the original on 2011-06-29. ^ "Canadiens sign Price to 2-year, $5.5 million contract". TSN. September 2, 2010. Archived from the original on September 5, 2010. Retrieved September 2, 2010. ^ "Canadiens reward Carey Price with 6-year deal". Canadian Broadcasting Corporation. Archived from the original on July 4, 2012. Retrieved July 2, 2012. ^ "Carey Price Montreal Canadiens – 2012–2013 Game Log – Montréal Canadiens – Team". National Hockey League. Archived from the original on February 2, 2014. Retrieved January 25, 2014. ^ "2012–2013 Conference Standings – Montréal Canadiens – Standings". National Hockey League. Archived from the original on February 2, 2014. Retrieved January 25, 2014. ^ "Lightning vs Canadiens – 2014 SCP First Round". Archived from the original on 2 April 2015. Retrieved 26 March 2015. ^ "New York Rangers at Montréal Canadiens – 05/17/2014". National Hockey League. Archived from the original on 2 April 2015. Retrieved 26 March 2015. ^ "Analysis: NY Rangers' Chris Kreider now public enemy number one in Montreal due to Carey Price's series-ending injury – NY Daily News". Daily News. New York. Archived from the original on January 14, 2016. Retrieved November 26, 2015. ^ "2014–15 NHL Season Goalie Statistics". Hockey-Reference.com. Archived from the original on 14 January 2016. Retrieved 26 November 2015. ^ "Montreal Canadiens goaltender Carey Price wins Hart Trophy as NHL MVP". National Hockey League. Archived from the original on 27 November 2015. Retrieved 26 November 2015. ^ "Carey Price out 6 weeks with injury; Mike Condon to play in Winter Classic?". Yahoo Sports. 30 November 2015. Archived from the original on 6 December 2015. Retrieved 30 November 2015. ^ Farrell, Sean (November 13, 2016). "Carey Price, Canadiens extend perfect starts". National Hockey League. Archived from the original on November 14, 2016. Retrieved November 16, 2016. He is the first NHL goalie to win his first 10 games of the season, according to the Elias Sports Bureau. ^ Press, Canadian (July 2, 2017). "Canadiens sign Carey Price to eight-year contract extension". Sportsnet. Retrieved July 2, 2017. ^ Zeisberger, Mike (July 2, 2017). "Eight more years: Montreal Canadiens extend Carey Price's contract through 2025–26". National Post. Retrieved July 2, 2017. ^ Basu, Arpon (July 2, 2017). "Carey Price signs eight-year extension with Canadiens". National Hockey League. Retrieved July 2, 2017. ^ Pat Hickey (November 3, 2017). "Canadiens goalie Carey Price down with 'minor' lower body injury". The Gazette. ^ "Lindgren gets first career shutout in Canadiens win over Blackhawks". Sportsnet. November 5, 2017. ^ "Canadiens' Carey Price out indefinitely with concussion". sportsnet.ca. February 22, 2018. Retrieved March 21, 2018. ^ "Price to return for Canadiens against Penguins". National Hockey League. March 20, 2018. Retrieved March 21, 2018. ^ Engels, Eric (April 4, 2018). "Carey Price's tribute the only moment worth savouring in Canadiens loss". sportsnet.ca. Retrieved April 4, 2018. ^ Kalman, Matt (October 27, 2018). "Price passes Roy with shutout for Canadiens against Bruins". NHl.com. Retrieved October 28, 2018. ^ "Canadiens' Carey Price won't play in NHL All-Star Game". sportsnet.ca. January 7, 2019. Retrieved January 7, 2019. ^ "Carey Price to start for Canada against Norway, Luongo gets call against Austria | News and Blogs – CTV News at Sochi 2014". ctvnews.ca. Archived from the original on 2014-03-02. Retrieved 2014-04-03. ^ "Price shutout leads Canada to repeat Olympic title". National Hockey League. February 23, 2014. Archived from the original on March 2, 2014. Retrieved November 2, 2014. ^ "Hockey's Future – Carey Price". hockeysfuture.com. Archived from the original on 2014-02-26. Retrieved 2014-04-03. ^ "Goaltender Carey Price of the Montreal Canadiens viewed as a leader". National Hockey League. Archived from the original on November 29, 2014. Retrieved March 26, 2015. ^ Bains, Camille (October 25, 2015). "Carey Price Donates $10,000 In Gear To Hometown Minor Hockey Club In B.C." HuffPost. Archived from the original on December 23, 2015. Retrieved December 24, 2015. ^ a b "Habs' Carey Price sends hockey equipment to kids in his childhood league". The Gazette. Montreal. 2015-10-26. Archived from the original on 2017-03-22. Retrieved 2017-03-21. ^ "Mag 26.6 – My Man Carey Price – Montréal Canadiens – CANADIENS magazine". National Hockey League. Archived from the original on 2013-11-05. Retrieved 2014-01-25. ^ "Angela + Carey 08.24.13 // A Cord Of Three Strands Is Not Quickly Broken". vimeo.com/solefirefilms. Archived from the original on January 14, 2016. Retrieved July 30, 2015. ^ "Bleary-eyed Price hits Calgary for Hockey Canada camp a day after getting married". calgaryherald.com. Archived from the original on December 16, 2013. Retrieved January 25, 2014. ^ Price, Angela (October 21, 2015). "First Came Love, Then Came Marriage". By Angela Price. Archived from the original on October 23, 2015. Retrieved October 21, 2015. ^ Price, Angela (May 9, 2016). "Liv Anniston Price". By Angela Price. Archived from the original on June 5, 2016. Retrieved May 9, 2016. ^ Laframboise, Kalina (May 9, 2016). "Carey Price's wife gives birth to baby girl". Canadian Broadcasting Corporation. Archived from the original on May 10, 2016. Retrieved May 9, 2016. ^ Lau, Rachel (December 28, 2018). "Canadiens' goalie Carey Price, wife Angela, welcome baby girl Millie". globalnews.ca. Retrieved January 8, 2019. ^ "Hounds Off to Aboriginal National Championships". Notre Dame College. Archived from the original on March 31, 2012. ^ "Home". Carey Price. Retrieved 2018-03-21. ^ a b "'Be proud of your heritage,' Habs' Vezina winner Carey Price tells First Nations youth". CBC News. Archived from the original on 2017-03-22. Retrieved 2017-03-21. ^ "Hero goalie rose from B.C. reserve". The Globe and Mail. Archived from the original on 2016-03-09. Retrieved 2017-03-21. ^ Carter, Mike. "Junior Canucks goalie has Carey Price on speed dial". Dawson Creek Mirror. Retrieved 2018-03-21. ^ "Biography". Carey Price. Retrieved 2017-03-21. ^ "Historic night for Canadiens' Price at NHL Awards". National Hockey League. Archived from the original on 2017-03-07. Retrieved 2017-03-21. ^ "Canadiens goaltender Price wins Lou Marsh Trophy". National Hockey League. December 15, 2015. Archived from the original on December 18, 2015. Retrieved December 16, 2015. ^ "Price earns the Lou Marsh Award". Montreal Canadiens. December 15, 2015. Archived from the original on December 22, 2015. Retrieved December 16, 2015. ^ "Canadiens' Price voted Canada's male athlete of the year". TSN. 27 December 2015. Archived from the original on 30 December 2015. This page was last edited on 18 April 2019, at 14:54 (UTC).